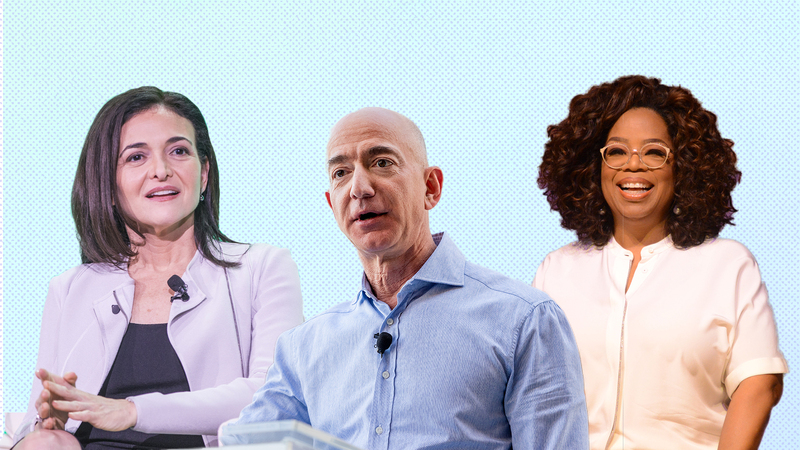 With lessons from Jeff Bezos to Oprah, here’s how to read the room, stay productive, and keep everyone engaged. If you’ve ever held a meeting at work, you’ve probably realized that its success is about so much more than the material you’re presenting. Sharing your ideas in front of a room of colleagues — and keeping them engaged throughout — can be daunting, and seriously challenging. Many successful business leaders have developed their own innovative rules and rituals around holding an effective meeting, and it’s worth taking a note or two from people who have the process down pat. The first step in planning a meeting is deciding whom to include, and that choice alone can determine the variety of voices and opinions in the room. At Amazon’s headquarters, CEO Jeff Bezos enforces a “two-pizza rule,” where employees are discouraged from holding meetings that would require more than two pizzas to feed the entire team. Bezos says his rule can help improve productivity, allow members to share their unique perspectives, and keep people from having to participate in an endless series of meetings that aren’t immediately relevant to their work. We typically assume that notable leaders are naturally capable of captivating audiences, but according to successful investor Warren Buffett, that skill was something he’s had to practice over time. He also suggests that we all do the same. “I think the ability to communicate, both in writing and orally, is of enormous importance,” he said. “I would get physically ill if I even thought about having to do it.” Buffett says he’s worked on the skill as he’s gotten older, and cultivating it has enabled him to lead more effective meetings.